This ebook is available for download with iTunes. Now- also available at Blurb- for Amazon Kindle Fire®, Apple iPad®, Android devices, and Mac or PC computers. 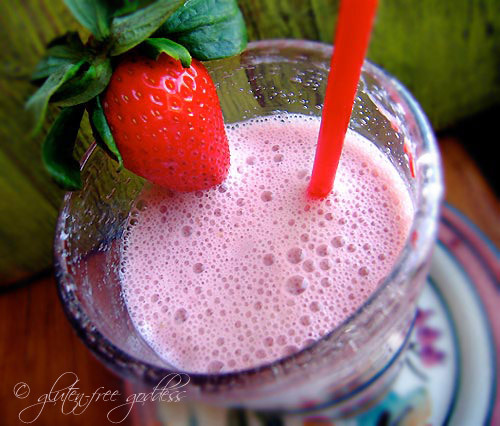 I began sharing my original recipes at Gluten-Free Goddess in late fall of 2005. 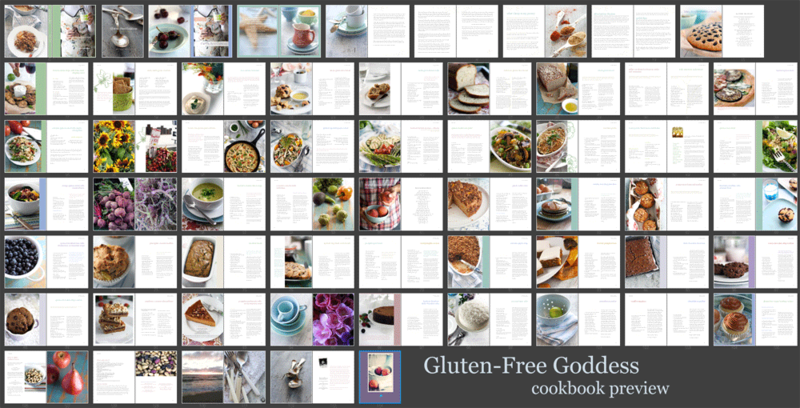 There are over 400 original gluten-free recipes now on the Gluten-Free Goddess® food blog. Like so many readers I have discovered the convenience of bringing my iPad into the kitchen to cook. 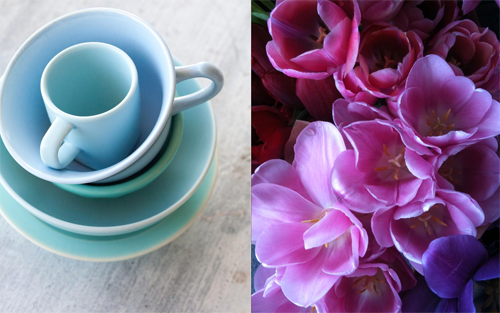 It is wonderful to have an entire blog available- right at my fingertips. 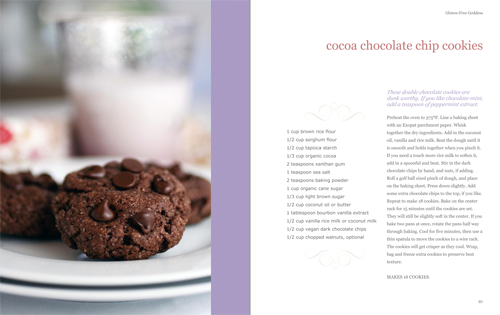 Looking over my recipe index I began to imagine an iPad ebook cookbook- a collection of recipe favorites from Gluten-Free Goddess®- the recipes I turn to, again and again. 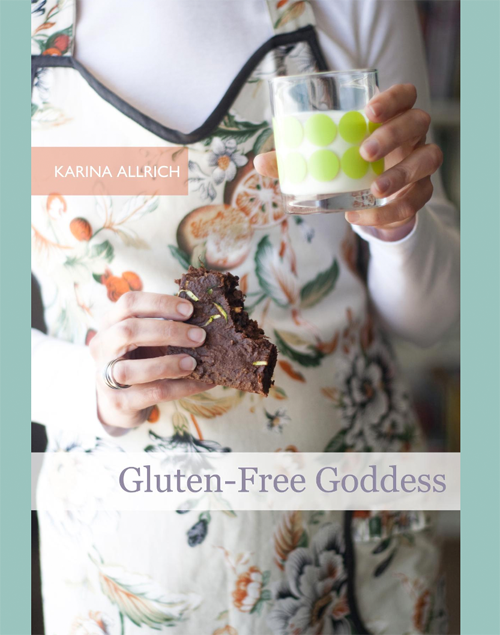 And the first Gluten-Free Goddess® iPad cookbook was born. A bright, concise, beautiful presentation of my favorite "Top 45" gluten-free recipes- a mix of 21 savory recipes, and 24 sweet recipes. Included are my best gluten-free Pizza Crust recipe, our favorite Delicious Gluten-Free Bread and Whole Grain Bread, Skillet Cornbread with Green Chiles, Multi-Grain Dinner Rolls, Irish-American Soda Bread, and Whole Grain Olive Bread. You'll find appetizers-- from Nutty Multigrain Crackers to Fried Zucchini Chips with dip-- and family favorites-- Kicked Up Mac n Cheese, Grilled Vegetable Pasta Salad, Quinoa Salad with Maple Vinaigrette, Zucchini Gratin and Sweet Potato Black Bean Enchiladas- and more. Lighter fare-- my reader's favorite Creamy Detox Soup, Quinoa Taco Salad, and Coconut Corn Chowder with Lime. Breakfast and sweet recipes include Sunday Morning Pancakes, Peach Coffee Cake, Orange Kissed Almond Muffins, Spotted Dog, Blueberry Almond Muffins, Quinoa Breakfast Bars, Zucchini Bread, Iced Pumpkin Scones, Dark Chocolate Brownies, Chocolate Chip Cookies, Raspberry Coconut Almond Bars, Pumpkin Praline Pie, Flourless Dark Chocolate Cake, Coconut Layer Cake, pumpkin, vanilla, and chocolate cupcakes (with several vegan frostings)... and more. All baking recipes are dairy-free as well (if you prefer using dairy, simply substitute butter and milk). And many are vegan, or easily egg-free (substitutions given). 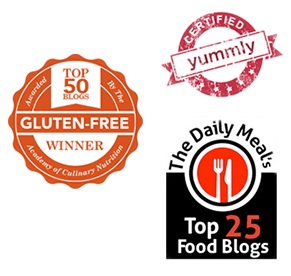 Included are the basics of baking and cooking gluten-free- what to keep in your pantry, where gluten hides, and some quick start tips on making your gluten-free baking a success. Note: Download on your iPhone, iPad, or iPod touch with iBooks and on your computer with iTunes. Books must be read on an iOS device. Download from iTunes here. For Blurb previewing purchasing: download the file onto your computer; bring it into iTunes; sync your iPad in iTunes. 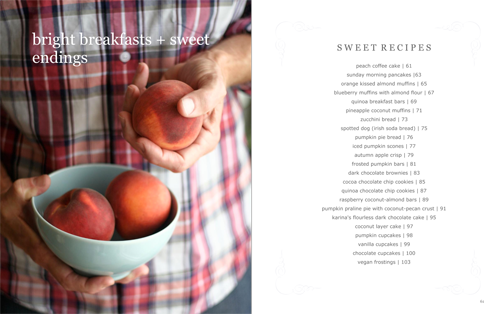 The cookbook will appear on your iBooks shelf. Download or see an ebook preview here at Blurb. with all its full color, page turning iBook goodness. Available for iPad, iPod Touch and iPhone. For new readers, and recently diagnosed celiacs, I hope this gluten-free ebook inspires you--- and most of all, gives you hope. 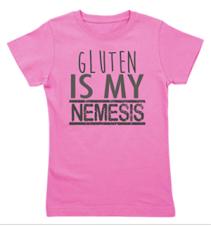 Because living gluten-free is not only good medicine, it can be downright fabulous. So let go of old expectations, forget the tried and true of the past and have a little fun playing in the kitchen. Risk new flavors. Get intrigued by the magic of baking without gluten. Living gluten-free is a challenge, yes. But you know what? It can also be delicious. As in. Totally.